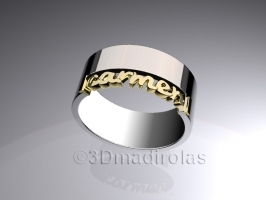 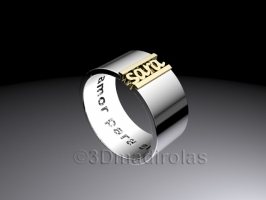 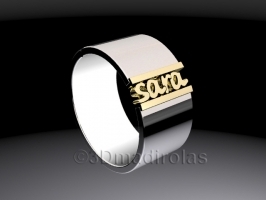 Ring personalized (silver and gold) with a name and a inner engraved. 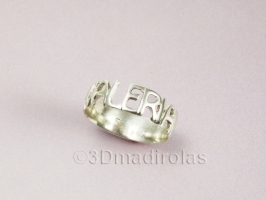 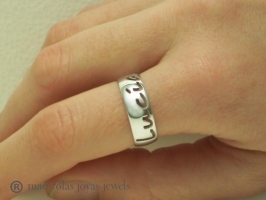 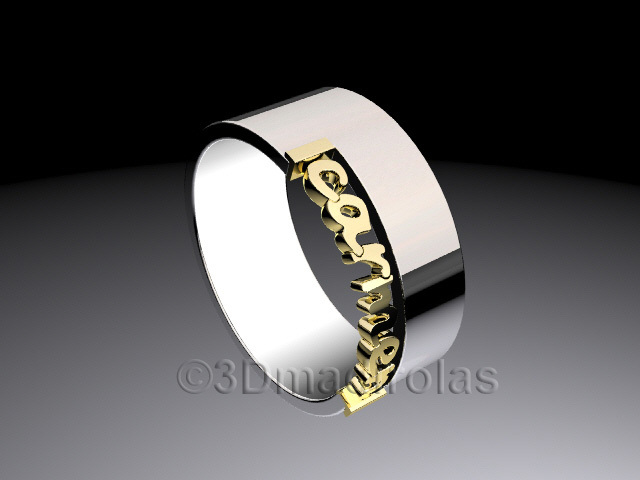 PLAIN ring, personalized with a name, a inner engraved and polished gloss. 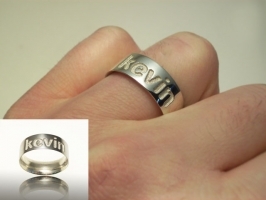 Choose the name and the inner engraved (date, message,...) you want and we do. Sterling Silver 925. (5,60 grs.) Gold 18k (0,5 grs. 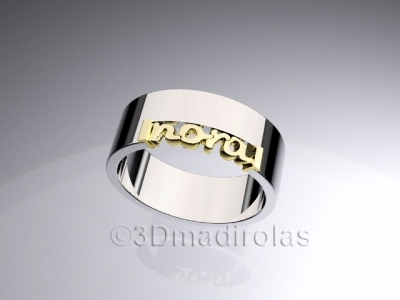 aprox.) 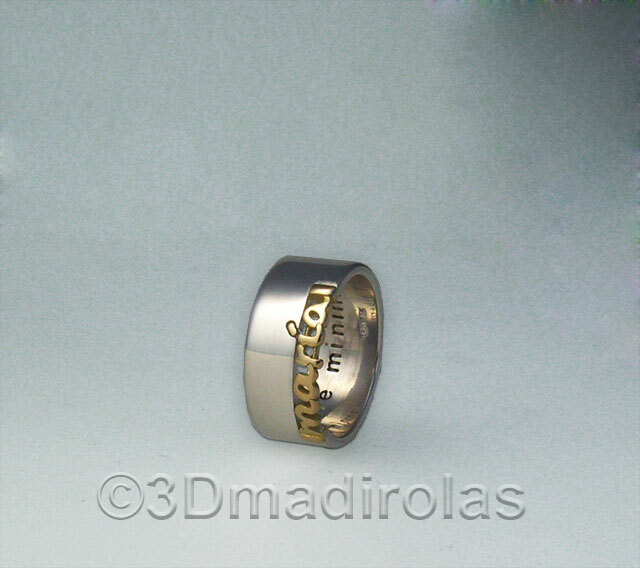 (size: EU 14 - US 7). 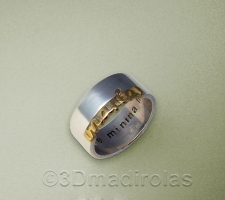 Wide: 8mm. 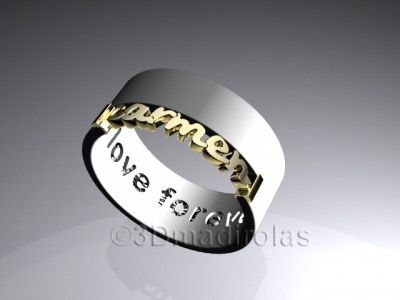 Delivery time. 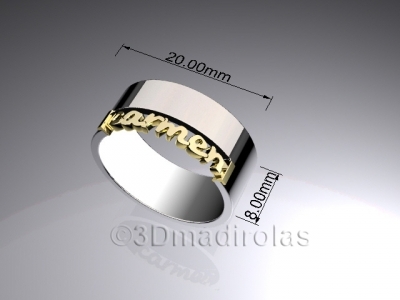 Consult our pdf file for calculating the size. Contemporary design. 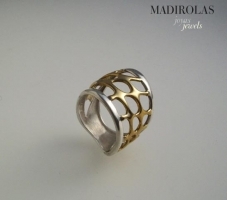 Silver & Gold ring.